Nyasa Big Bullets rising striker, Hassan Kajoke, has been given a late call-up to replace injured Silver Strikers midfielder Levison Maganizo as Malawi national football team prepares for the African Nations Championship first leg qualifier against eSwatini. The Flames regrouped Monday at Kamuzu Stadium in Blantyre with Silver Strikers players Khuda Muyaba, Brighton Munthali and Trevor Kalema missing the morning training session as they were in transit after fulfilling two TNM Super League assignments in the Northern Region. 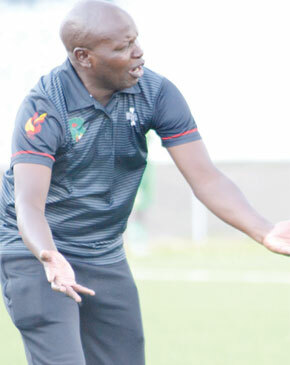 Malawi interim coach, Meke Mwase, said Kajoke was omitted from the initial squad by mistake. “He was on the initial list but somehow his name missed from the squad which reported for training last week. As it is now, we have called him in the place of Levison, who is injured. The squad is a combination of both youthful and senior players. Most of them have been with the national team for some time and know that we join competitions to win,” Mwase said. Ahead of the away match, Mwase said the team did not have adequate time to prepare thoroughly. But the TN Stars mentor said it was the duty of the coaches to come up with a winning formula. “We have two days only to prepare but we just need to plan carefully and execute our game strategy so that we get the result,” he said. The Flames are expected to leave for eSwatini on Thursday. The two sides last met in 2016 during an Africa Cup of Nations qualifier which Malawi won 1-0 through a Gerald Phiri Jnr goal.